Arrival at Delhi airport. You will be welcomed at the IGI airport by our representative and transferred to your hotel in a private chauffeur driven car/coach. Quickly fulfill the formalities of arrival and check–in at the hotel (at 1200 hours) and start your exploration of India with a city tour of Old Delhi.Our first pit stop is Jama Masjid, built in 1650, it is one of the largest mosques in Asia. 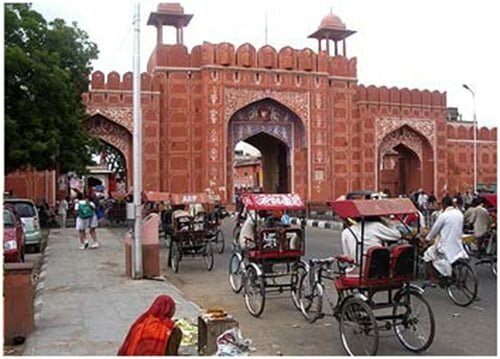 Enjoy rickshaw ride in the narrow lanes and alleys of the ancient bazaar of Chandni Chowk. Visit the majestic Red Fort, a huge complex built of red sandstone, the capital of Mughal Empire in India for two centuries. Lets not call it a day yet as we continue our drive to Raj Ghat and pay homage to Mahatama Gandhi, the father of our nation. This completes the visit to Old Delhi and begins our tour of New Delhi. On your way to Qutub Minar, you drive past the 16th century Humayun’s Tomb. 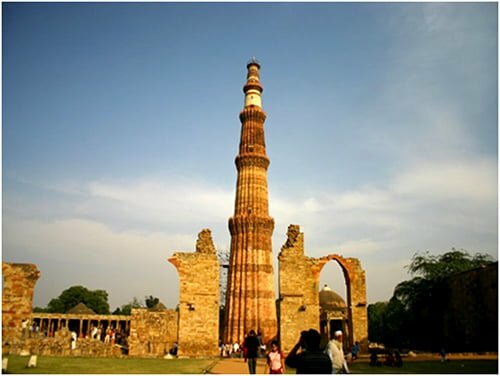 Qutub Minar is one of the tallest towers of the 12th century built in Persian architecture style. 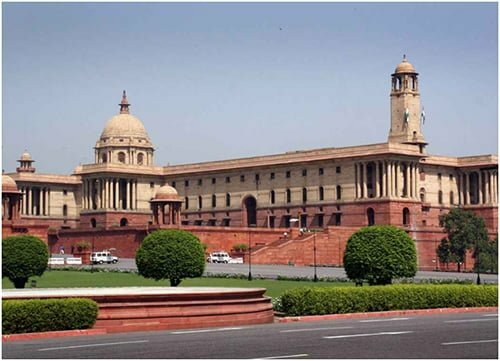 Before returning to hotel we take a bus tour of the India Gate, Parliament Buildings and President House and finally returns to hotel for overnight stay. After breakfast at hotel, we depart for Jaipur. Jaipur (also known as the pink city)is the capital of Rajasthan,and was founded by Maharaja Jai Singh in 1727. It is one of the first planned cities of India and is rich in culture and heritage. After arriving in Jaipur, check–in at the hotel and later we start our exploration of the majestic city with a visit to the City Palace, the former royal residence of the Maharaja of Jaipur. Even today, the royal family abides in a part of the palace that is cordoned off for the visitors. It is quite different from other Rajput palaces and forts as apart from the Rajput architecture you can also observe smithereens of Mughal architecture. 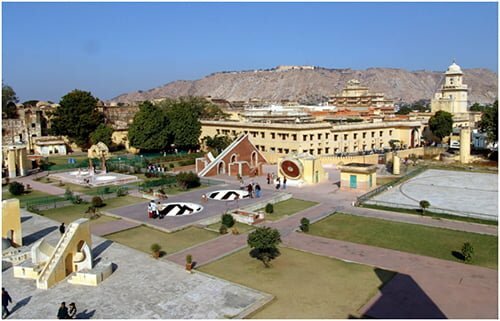 Not far away from the city palace is Jantar Mantar which possesses various astrological instruments that have impressed astronomers all over the world. Here you will see the largest sundial in the world and one of the best preserved observatories. Return to hotel for overnight stay. 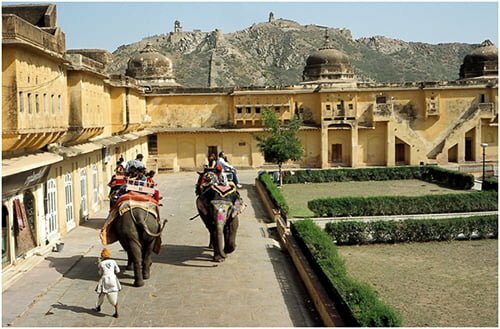 In the morning, we go for excursion to Amer Fort which is perched on a hill. The architecture of the fort is a unique blend of Rajput and Hindu style. Amer is the former citadel of Kachwahas of Amer who had ruled the city. It is a thrilling climb to the fort as its done sitting on an elephant’s back. The Fort is known for cobblestoned pathways with enormous fortification. There are beautiful buildings inside the fort including Sheesh Mahal (palace of glass), Jai Mandir and Sukh Niwas. The afternoon has been kept free for you to explore the pink city bazaar for shopping or just to take a leisurely walk. Overnight stay. We get reach to leave for Udaipur. After arrival check–in at the hotel. Udaipur is also called Venice of the East and city of lakes and is a beautiful city with lush green hills on its background. The palaces along the lake just seem to crop out of a fairy–tale book. Here you relive the heroic past and chivalry of Rajput kingdom. It is undoubtedly one of the most romantic cities in the world with glimmering lakes, gardens, forts and palaces. Overnight stay. We shall start our tour of Udaipur city in the morning with visit ofCity Palacewhich took three centuries to complete the construction incorporating brilliant ideas of architecture. The Palace is a big complex of joining buildings. The rooms feature typical Rajput architecture with decorated mirrors, glassware and magnificent frescoes. There is also a Museum which displays how Udaipur city was founded by Raja Uday Singh and later developed by other Maharajas in form of paintings. We shall next visitJagdish templewhich is adjacent to City and a steep staircase takes us there. The entrance of the temple is greeted by two elephants. The stone art work and intricate carving on the walls is remarkable. 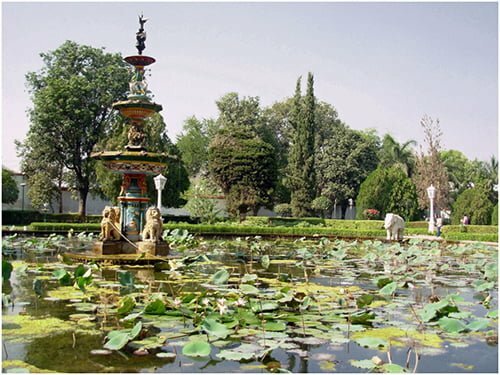 We shall now drive to Saheliyon Ki Bari Gardenswhich is the most beautiful garden in the city. 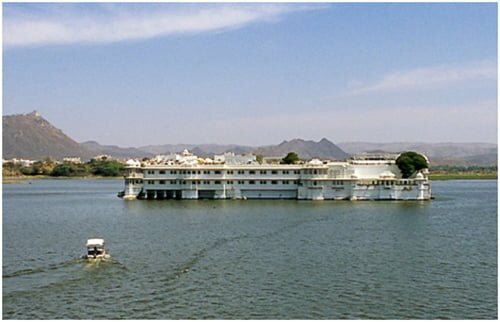 It was built for princess and her forty eight maids who have come to Udaipur along with her as part of her dowry. The wonderful lay out of the garden is a treat to your eyes.In the afternoon we shall go for an excursion to Eklingi and Nagda. Eklingji is a very famous and sacred Hindu Temple. It was constructed in 9th century by Guhila dynasty of Mewar. The final visit of the day isNagda, which was founded by Nagaditya, the fourth Mewar King, in the 6th century. 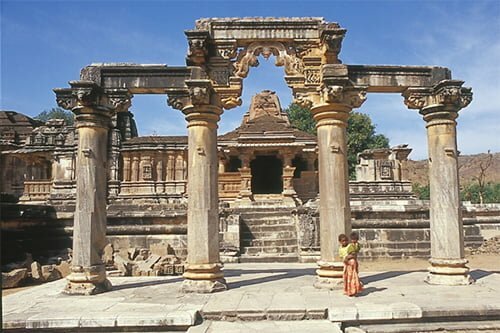 Nagda is famous for 10th century Sas–Bahu Temple to hotel for overnight stay. Morning depart for Bundi. 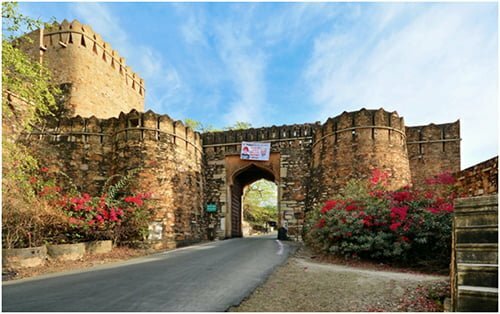 But, before reaching there, we will stop at Chittaurgarh which is India’s most noteworthy medieval fort built in the seventh century. Situated on a great height, Chittaurgarh sprawls remarkably over the nearby towns. Chittaur fell twice in the sixteenth century, first to the strengths of Sultan of Gujrat and later to the Mughal Emperor Akbar. Surrendered by its rulers who later settled for another capital at Udaipur, resulted in the ruins of Chittaur’s apartments and palaces. Little has survived the assaults of the armed forces and of time, but there still is enough to give a sneak peak into the history at what probably has been one of Rajputana’s most prominent fortifications. Continue drive to Bundi which is world famous for fascinating miniature paintings. After arrival check–in at hotel. Afternoon visit Bundi Fort which is a great piece of Rajput architecture and beautifully decorated with arches and ornate windows. 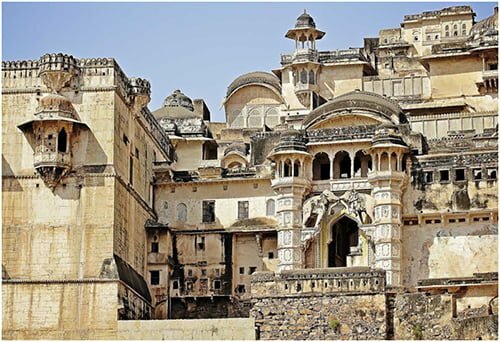 Also visit Bundi Palace which is well known for exquisite frescos.Overnight stay. 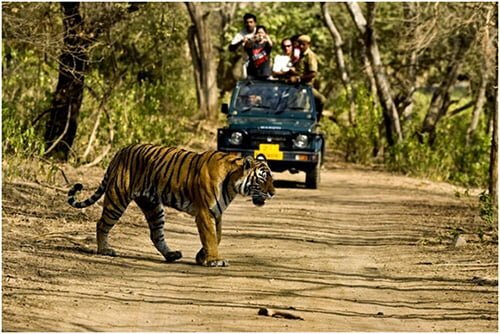 In the morning leave for Ranthambore National Park which is well known for its Tigers. The landscape of the park is very interesting as there is an ancient Banyan Trees, Dhok and Pipal trees and clusters of mango trees. The terrain here is made of massive rock formations, perennial lakes and streams. Arrive at Ranthambhore and check–in at the hotel.Overnight stay. 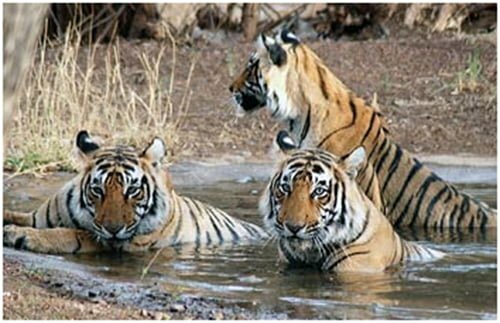 Ranthambore National Park is the biggest tiger riserve in Rajasthan. It offers a breath– taking experience to visitors as it is located on the banks of Chambal and Banās River. The National Park is spread across a humongous area of 392 sq km and a home for a large variety of amphibians, reptiles, mammals and birds. 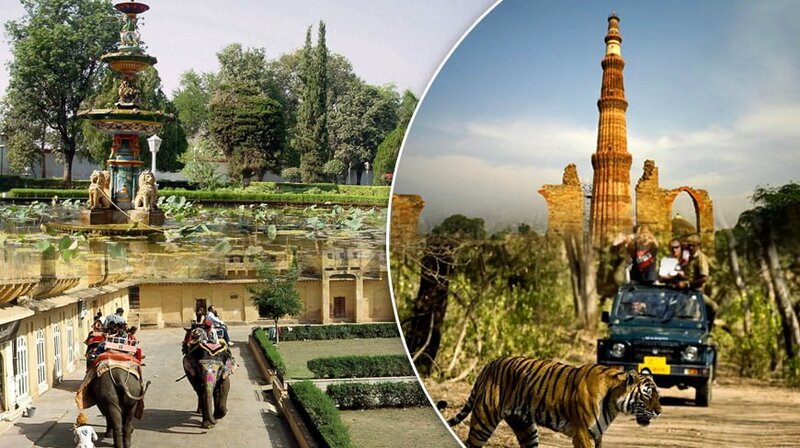 The biggest attraction of this park is Royal Bengal tigers for which thousands of wild life enthusiasts come here. The other animals in the park include wild boar, sambar, jackal, cheetal deer, leopard, sloth bear and hyena and many others. Besides animals, there are forts and ancient temples inside the park. The mornings and evenings are dedicated for jungle safari in a jeep or a canter (open van) to get a change to encounter big cat besides enjoying flora and fauna of the park. Overnight stay. After breakfast, get ready to depart for Agra, home to Taj Mahal. 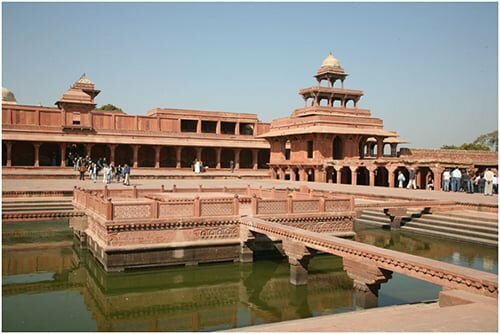 But, before reaching Agra, stop at Fatehpur Sikri, the best preserved Mughal Palace city in India which was built by Akbar in 16th century. He used the best craftsmen in the country to build the city but unfortunately had to abandon it a few years later after the water system failed. After exploring Fatehpur Sikri, proceed to Agra and check–in at the hotel for overnight stay. In the morning, we begin exploring the city of Agra, first visiting one of the Ancient Seven Wonders of the World, “Taj Mahal” It is a mausoleum built by Shah Jahan for his beloved Mumtaz Mahal. It took no less than 22 years to build this architectural wonder and was finally completed in the year 1653. The interiors of Taj Mahal are adorned with highest quality inlay work incorporating semi–precious stones. 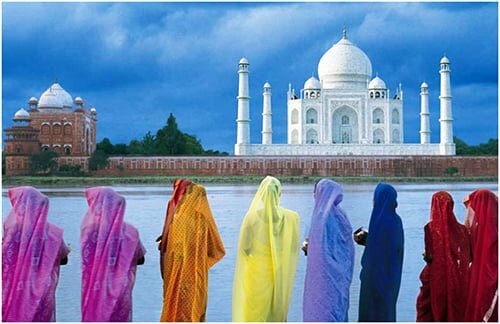 Taj Mahal is undoubtedly a treat to your eyes and spectacle to watch. Then visit Agra Fort which had been the seat of power of the Mughal dynasty for many centuries. The huge awe–inspiring facades of the fort are a symbol of strength, power and resilience of the might empire. Finally visit Sikandara before leaving for Delhi airport to catch your flight for onwards destination.